A lot of you are usually flying in good weather or pre-defined BMS weather settings. 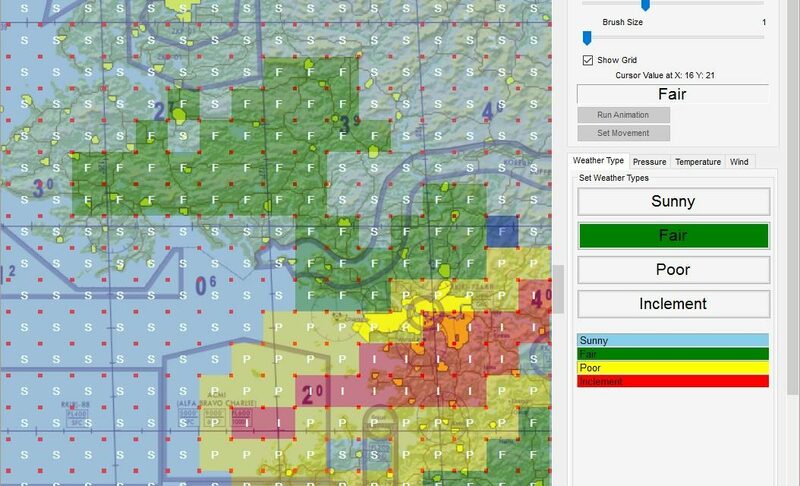 So how can you create your own weather scenario and make sure you have a proper challenge? Well simple enough, the falcon BMS community has some tools for you since Falcon BMS 4.33. Let’s review them quickly to see how to get the best of those tools! This is the first tool available with the release of Falcon 4.33 and quite simple in its use: you can change Weather conditions / Winds / Atmospheric Pressure for each map square zone (most probably 1° x 1° squares). The process is quite long but the tools can let you customize the weather in Falcon BMS to your needs. Really good effort tool from the community in converting a heavy client to a web interface Weather generator Web Tool. You can use then the weather as a base and use one of the previous tools to tweak it.